Manhattan home to at least two food trucks serving Lebanese food. The first was Toum with its exceptional and gigantic sandwiches and potent garlic whip and the second is Bread & Olives that was spotted at Hanover Sq. (btw. Pearl & Water) on Monday and I’m told they also park there on Wednesdays. It looks like the truck parked in Midtown last year, but this is the first I’ve heard or seen of them parking downtown. 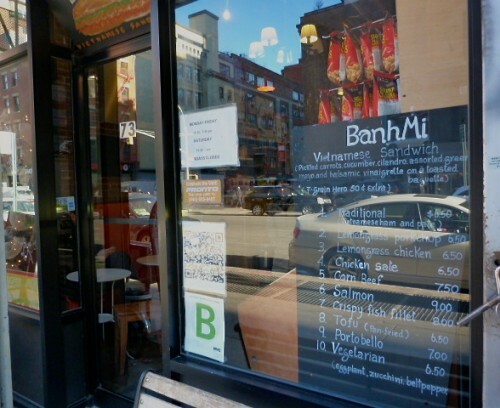 The menu features platters or sandwiches with proteins like falafel, lamb cubes, kafta or two kinds of chicken along with breakfast pies and sides. 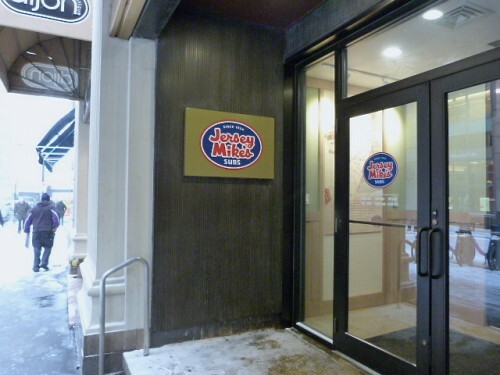 It was early and there was no line so I was sold, and ordered myself a sandwich. 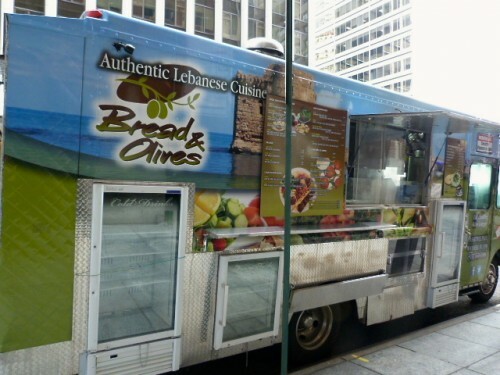 Posted by Andrea H at 10:00 am, January 15th, 2014 under Bread & Olives Truck, Lebanese, Sandwiches, Truck. 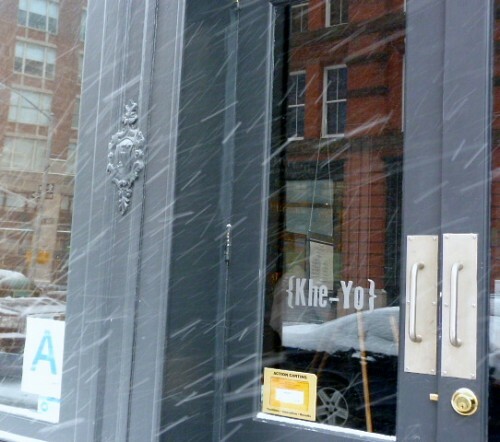 Posted by Andrea H at 10:00 am, December 16th, 2013 under Banh Mi Vietnamese Sandwich, Mangez Avec Moi, Sandwiches, Tribeca, Vietnamese. 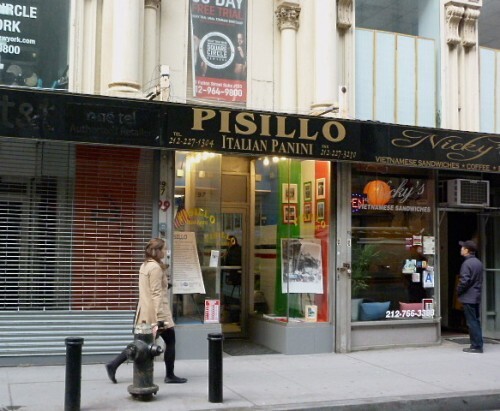 Posted by Andrea H at 10:00 am, December 4th, 2013 under Financial District, Italian, Pisillo Italian Panini, Sandwiches.